Hard Landscaping is used to design land or an area of a garden. It includes designing gardens or any particular corner of the land. Constructed by using a durable quality of bricks, gravel, timber, metals, stones and furniture, these landscapes are designed according to the specifications of our customers. The process of designing landscapes by using best quality material in accordance to our customers’ needs is known as hard landscape construction. Landscapes are attractive and exotic parts that can beautify every house and give a classy appeal to the overall property. Our timely execution of services helps our client to interact with us easily and comfortably. Our offered hard landscaping services are highly reliable and affordable. What Comes Under Hard Landscape Construction? Hard landscape construction includes various services like installation of water bodies, planters, potters, pathways and furniture. Different accessories like designed potters, planters, a fresh waterfall and modern furniture are used to design a beautiful landscape. Along with construction services, we also provide landscape maintenance to our customers. Hard landscape construction includes not only corners of a land but also a garden area where you can sit and enjoy the view of the landscape. Using fresh plants, decorative walls and durable pathways are some of the features of landscape constructing. 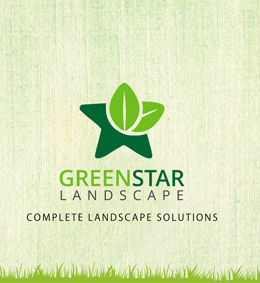 Thus, we at Greenstar Landscape Private Limited can develop everything and anything according to the changing trends. Gardening is fun but when it comes to cities, space can be an issue. However, at Greenstar Landscape Private Limited, we have a solution to your every problem and thus promise construction in compact places as well. Instead of making every location and part of your house the same, we use distinct ideas customized according to it.